Along the sunny south coast of Maui, you will find lovely beaches with aqua blue waters and luxury Wailea hotels such as the Four Seasons Maui, Fairmont Kea Lani, Grand Wailea Resort, and Wailea Marriott. Just a bit further south, you’ll find the Makena Beach and Golf Resort. With those names and brands, you can see that Wailea is a very upscale beach resort. In addition to these swanky hotels, you’ll also find a number of vacation condos, too. 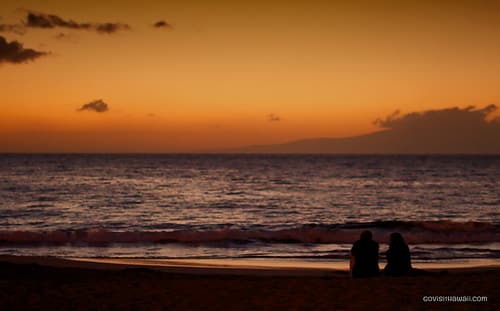 Wailea is the perfect location for relaxation and letting the breeze blow your troubles away. If golf is your fancy, then “bring your sticks” to play on three of the world’s best golf courses with panoramic views of the Pacific Ocean. In Wailea, you can play golf on the same course where the professionals play the PGA Senior Skins Game. Wailea also offers a tennis club and excellent island shopping.